artSMart: N.E.W PITCH – CALLOUT! Win the chance to produce a wildlife, environmental or conservation documentary short. 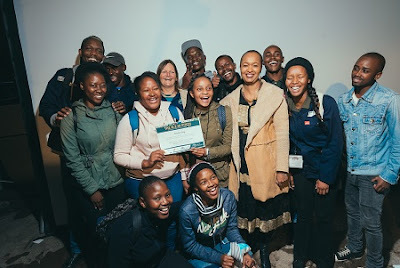 The N.E.W Pitch short documentary pitching competition is aimed at discovering the next generation or nature, environment, wildlife and adventure conservation filmmakers, and is one of the key sessions at the Nature Environment and Wildlife Filmmakers Congress (NEWF) taking place from July 16 to 18 at Durban Botanic Gardens and surrounds. The N.E.W Pitch is targeted towards emerging and student filmmakers in order to provide them with pitching experience and the opportunity to win a production grant to produce a short documentary film in this genre. During the NEWF Congress, the eight finalists will be invited to participate in a pitching session before a live judging panel. Coming out of the pitch session, four winners will be selected to win R50,000 to develop and produce their documentary short. The four winners will have access to mentorship during the production of their shorts. The films need to be completed within a year, and the four films will be combined into a once-off 48-minute TV documentary, which will be broadcast on national television. During the NEWF Congress this year, the winners of last year’s Pitch will screen their film for the first time. The winners of last year’s competition were, Fidel Tshivhasa for his story on the humpback whale migration that takes place in KZN; Shivan Parusnath for an undercover look at the illegal reptile trade, Mikhale Singh whose project is about the endangered Pickersgills’ Reed frog and the Ashdown and Imbali EnviroChamps (Liberty NPO and DUCT) who are a group of individuals working to protect the wetlands and rivers in their area. These four films will be complete by end of May. “It is hoped that the Congress will promote outstanding environmental, conservation, wildlife and adventure films from professional, aspiring and student filmmakers and that we will contribute towards transformation through our developmental programmes aimed at enriching the industry with an increased pool of diverse content creators,” she said. To pitch for your documentary – register on the NEWF online portal – and enter the N.E.W Pitch competition with all the necessary supporting documentation. Visit www.newf.co.za to enter, for submission requirements, guidelines and more information or visit the NEWF Online Portal to enter now. Deadline is May 31, 2018. Registration is now open for this year’s Nature, Environment & Wildlife Filmmakers Congress. Visit www.newf.co.za for more info. Delegate passes can be booked and paid for later.